A delicious alternative to your breakfast cereal, this can be prepared in advance if you have a busy morning. Mix all the ingredients together in a large bowl. Cover with cling film and refrigerate overnight. In the morning, transfer the bircher muesli to individual bowls and top with fresh fruit, crunchy nuts or any other superfood you have on hand. My favourites are berries, sliced bananas and a dollop of yogurt. 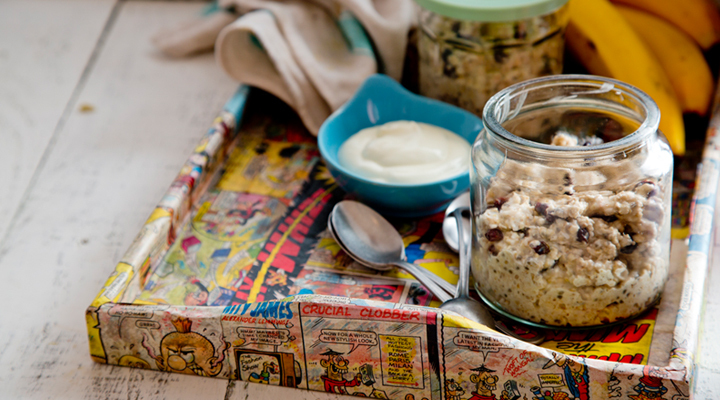 Tip: Place the mixture in a transportable container and you can have breakfast on the go.